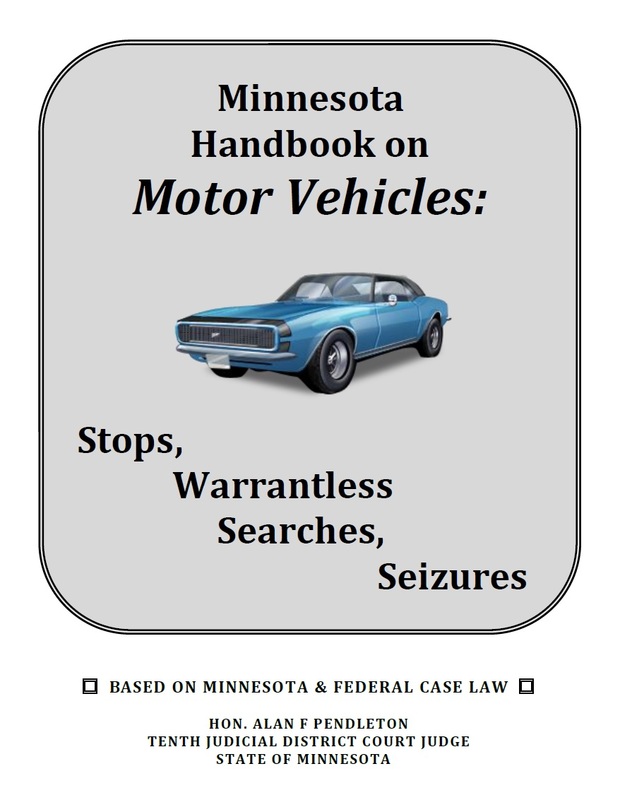 This update is a reprint of Chapter one of the Minnesota Handbook on Motor Vehicle Stops & Warrantless Motor Vehicle Searches. It is limited to legal issues involved in the stop and detention of a motor vehicle by law enforcement. FOREWORD: Challenging the legality of a motor vehicle stop is one of the most common legal arguments raised in support of a motion to suppress. This update is designed to provide judges and attorneys with a comprehensive reference guide to the laws governing motor vehicle stops. This update is a supplement to the Minnesota Handbook on Motor Vehicle Stops & Warrantless Searches and provides a SUMMARY REFERENCE CHART of the seven (7) exceptions to the Fourth Amendment warrant requirement under which warrantless stops and searches of motor vehicles may be justified.